“No one died, c’mon guys,” Sky road captain Mathew Hayman told his dejected teammates after the fifth stage of the Tour Down Under today in which Geraint Thomas lost the leader’s jersey. Thomas slipped to fifth overall and is 29 seconds down on Tom Slagter (Blanco), who has all but won the first WorldTour race of the season ahead of tomorrow’s criterium finale. Slagter picked up a time bonus finishing the decisive queen stage at Old Willunga Hill second to Simon Gerrans (Orica-GreenEdge), who won the two-up sprint in front of a boisterous home crowd on Australia Day. Javier Moreno (Movistar) was 10sec back in third. 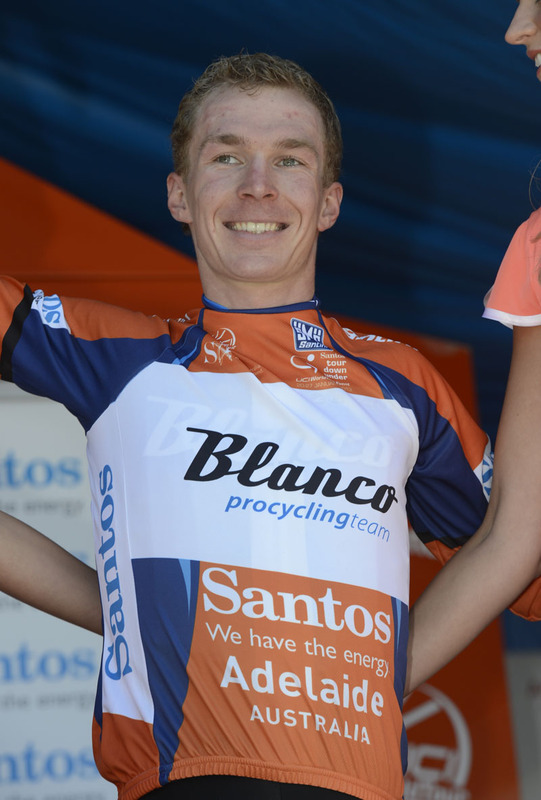 The 26-year-old Thomas finished the stage in 17th place and 28sec adrift of Gerrans to lose further time after wearing the ochre jersey for three days following an emphatic victory on day two. An initial break of seven riders including Jens Mouris (Orica-GreenEdge), Klaas Lodewyck (BMC), Manuele Boaro (Saxo-Tinkoff), Thomas De Gendt and Tomasz Marczynski (Vacansoleil-DCM), Koen De Kort (Argos-Shimano) and Calvin Watson (Uni SA – Australia) escaped early in the 151km race and survived until the first ascent of Willunga Hill. Movistar teammates Eros Capecchi and Jose Herrada as well as Guillaume Bonnafond (AG2R La Mondiale) hen went up the road before Jurgen Roelandts (Lotto Belisol) flexed his muscle and bridged across. 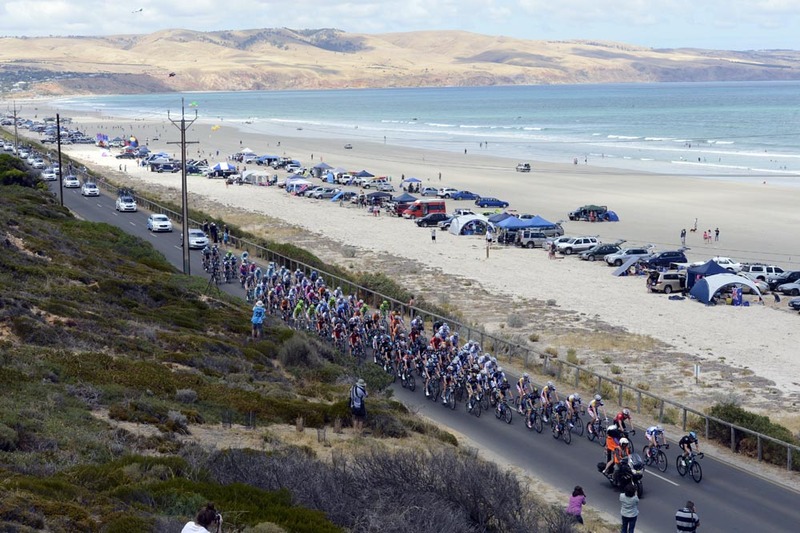 Sky, Orica-GreenEdge and RadioShack moved to the front of the peloton to bring down the gap and the quartet imploded with less than three kilometres remaining – or at the beginning of the second and final climb of Willunga. Ivan Santaromita (BMC), Tiago Machado (RadioShack Leopard) and Peter Velits (Omega Pharma-Quick Step) made a move that Sky had to respond to with Machado a potential threat to Thomas’s lead. Moreno, who started the stage third overall, then attacked from the main group. 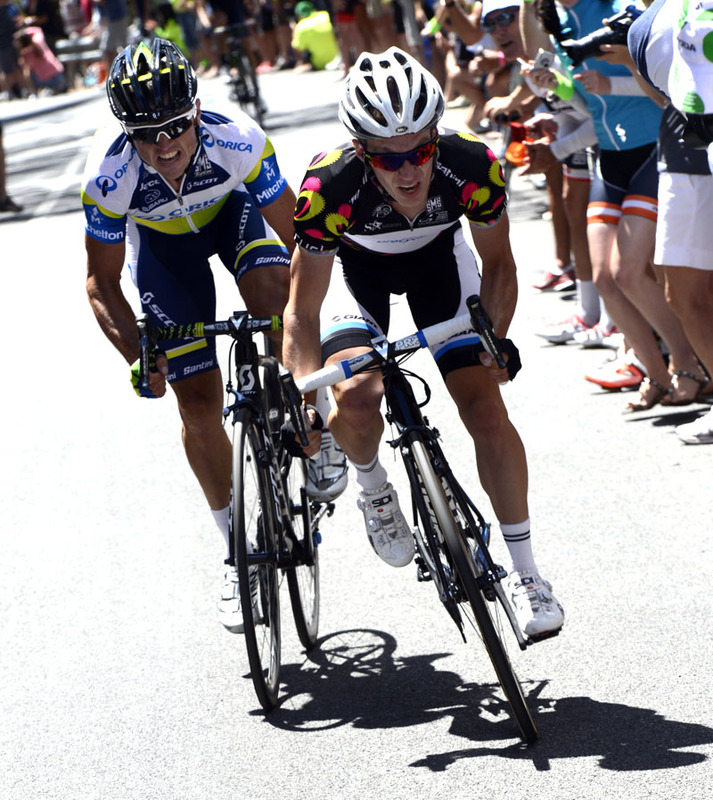 Gerrans and Slagter were able to mark the Spaniard but Thomas did not have the speed to follow. “The legs just went with 500 or so to go,” Thomas said. “All the boys did a great ride and then Eddy (Boasson Hagen) did a good turn. I should have just swung over maybe and tried to get someone else to do some work but I ended up pulling for a bit and was kind of a bit empty then. Gerrans said he had been suffering from asthma throughout the week but showed no signs of weakness today going one better than his second place finish to Alejandro Valverde (Movistar) on the same stage last year. “I never gave up till I was right to the line, especially when (Slagter) jumped across to us and went straight past,” Gerrans said. Thomas will travel from Australia to Doha next week for the Tour of Qatar after which the Welshman will substitute racing for training camps in a bold team strategy to be more competitive in the Classics this season. Sky sports director Kurt Arvesen is confident his squad is on the right path. “I think the way we’ve been controlling the race this week has been good,” Arvesen said. The Tour Down Under concludes tomorrow with a 90km criterium in Adelaide.